After seeing this on Google+, I knew I had to do a Bad Astronomer-like “want” post. This is a definite want. 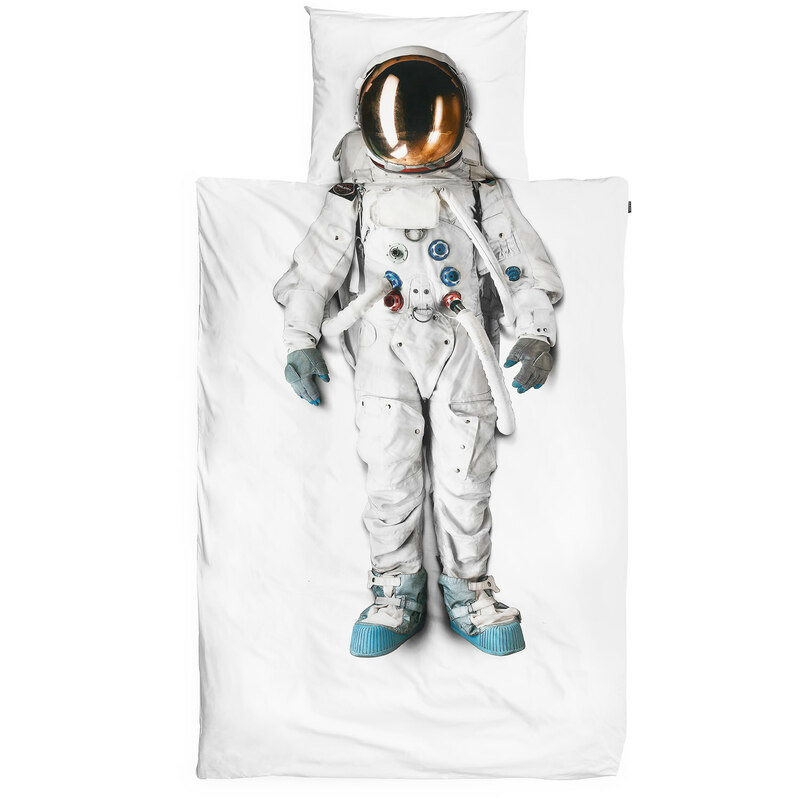 You can now be the first in your galaxy to have this awesome new bedding set. The duvet and pillow comes from a Dutch bedding shop named Snurk (that’s Dutch for ‘snoring’): “Underneath these sheets you will dream far beyond the stars…lie down, close your eyes and feel gravity decrease instantly.” They are now taking pre-orders, available in March. Are actually very interesting books to read abut the command module, the lunar module and even the space suite. I must give a warning, the are just a pile of repetitive descriptions at the components of the apollo. It is not a general story telling book. The astronauts suit is very detailed described in those 2 books. The heat/cold is controlled by a reflective outer skin that is also a heat insulator and internally distributed evenly by a water loop. They even though about a micro meteorite shield in the space suit.